Classy Resolutions to Start the New Year! | It's not your tech, it's how you use it. 2011 is just around the corner, and while everyone’s certainly making their own New Year’s resolutions – or at least thinking about some of the things they’d like from the new year and behaviors they’d like to change, here at The Classy Geek I decided to think hard about some of the things I’d like to do to spice up the new year as well – you know, make it a little classier, a little more sophisticated, but only in the good way. And then, of course, I wanted to share them with you. So without any further ado, here are five classy New Year’s Resolutions from me to you – resolutions that, as I make progress on them, you’ll probably see posts about them, true to the spirit of The Classy Geek: I wade into those waters and then let you know it’s safe. And hopefully, I help you avoid the pitfalls along the way, or tell you not to walk over there because there are nettles under the water surface, or that’s where the sharks like to hang out. You know what I mean. One of the best things any of us can do with the new year is make a promise to ourselves to get a little closer to the things we eat. We are what we eat after all, and hitting the drive through at McDonalds for a tasty McGriddle every morning only implies that you’re headed for a High Fructose Corn Syrup-drenched early grave, okay? Try to make yourself at home in the kitchen a little more often, and try to get familiar with some of the foods that you enjoy – it’s not nearly as difficult as you might think it is. Head over to your local farmer’s market and peer curiously at the fresh meat, dairy, and produce that growers and local farmers have for sale – they’ll be more than happy to tell you all about them, and many of them are foodies themselves and are more than willing to tell you how to prepare their wares and what you might like if you like other kinds of foods. You know who else tends to frequent farmers markets? 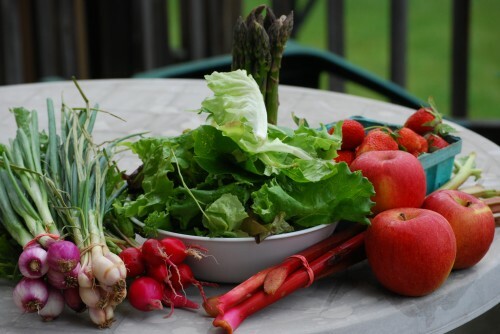 Foodies like me, and chefs who buy only the freshest ingredients for their restaurants. Trust me – you know that feeling you get when you’re in an electronics store and someone’s giving horrible advice and you’re just waiting for the sales clerk to leave so you can pull the person aside and let them know everything they just heard is wrong? Foodies are the same way. You’ll learn a ton at a farmers market. If you have some cash to burn, kick it up a notch and join a local CSA, or Community Supported Agriculture farm or co-op. These farms feed all of their members using the membership funds you pay into them, so for a few bucks a month, many of them will deliver (although most alert you when a pickup is ready) fresh fruits, veggies, dairy, and meats to your waiting arms, and everything is in season. If you really want to get in touch with your food, most of them will let you come work the fields every now and again and get your hands dirty. If that’s too much for you, it’s okay – your dues will do the work on your behalf. Now I’m not saying you should up and abandon your favorite social networks – although I’m currently fighting an urge to shutter my Facebook account completely something serious – but a new year does bring a new opportunity to take stock of the people in your life, reflect on what your loved ones mean to you, and make sure you properly appreciate them and their impact. What better way to do that than to make sure your social networks are lean, trim, and close enough to your heart that you have no problems sharing anything and everything with its members? So one thing I wholeheartedly plan to do as soon as possible is take the axe to the social networks I use for personal purposes. You can still follow me at Twitter, don’t get me wrong – and interact with me too, but that’s the clincher. I use Twitter to meet new people, follow their thoughts and lives, and interact with them. Facebook is generally for real personal friends (the Classy Geek’s Facebook Page notwithstanding) so all of those people who never spoke to me in high school but insist on being Facebook friends? No way. People who I never even met in high school but friended me anyway? Nope. I’ve found the best social networks are the ones that are insular enough that you don’t care what you post there because you know the people there know you well. Well enough that if you post something stupid, they’ll tell you, and that when you post something brilliant they’ll comment on it, even if they disagree. Taking an axe to your overgrown social networks is much like taking an axe to vines growing up your house and around your power lines – it’s well worth the effort, even if there’s some fallout, and you’ll be much happier being social on the Web after the fact. I’m not talking about a full-on redesign or home remodel here, but I am suggesting you take the opportunity of a brand new year to breathe some new life into the spaces where you spend the most time. A little color, a new desk chair, maybe a new desk even. Sweep away your old desk toys and bring over some of the ones that have been languishing on a shelf somewhere. Hang up the wall art you’ve been meaning to hang for the past couple of months but didn’t get around to, or switch out the posters you have over your desk or in the living room. You know where I’m going – do something daring that you’ve been thinking about. Maybe you want to get a new couch or some easy chairs for the living room – now’s a great time to pick something that matches AND is comfortable, maybe something in a color you normally wouldn’t choose. Take the opportunity to do something new and different and explore some design options you wouldn’t normally think of. For some of us, that means ANY design option. I know at least a few of you out there are in the “I don’t have desktop backgrounds on my computer I don’t see them anyway” camp of “function over form always,” but once you pay a little attention to form and aesthetics, you’ll be surprised how it makes you feel, and how well it can compliment form when used properly. 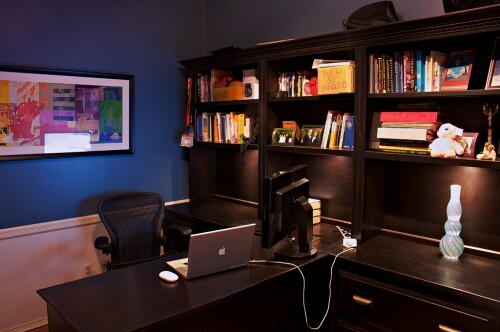 I’m not saying you have to hire a personal designer to redo your office, but I am saying that a few posters from your favorite movies, TV shows, video games, or Anime can make you feel much more at home in your home office, even when you walk in knowing it’s time to get down to work. I’ve covered this in a couple of posts on the matter, most specifically Good Tech is Better than More Tech â€“ Part 3: Smart Upgrades, but the lesson is always one worth remembering, and one that I specifically will have several opportunities to remember in the coming year. There’s nothing like a new year to take a good look at the things you have versus the things you want and make sure that your upgrade and technology buying plans are in line. Remember, think before you buy, but know that thinking before buying won’t take the luster off of the new gear you get. To the contrary, you’ll probably be happier knowing you didn’t overspend to get the tech that’s absolutely perfect for you. Personally, I’ve been meaning to digitize my CD collection for a long time now, and I’ve been meaning to get my old VHS and audio cassette tapes into some digital format just as long, if not longer. After all, magnetic media slowly decomposes over time even in ideal conditions, so my old VHS movies and mixtapes aren’t long for this world if I don’t do something to save them sooner rather than later, and the same is true for yours – especially all of those VHS tapes you have tossed in boxes in the basement, slowly wearing under the weight of damp, cold, dusty air. So a new year is a good opportunity to pull out your CDs and rip them to mp3, or even better, some lossless format like FLAC or uncompressed AAC. It’s also a good time to pick up a video card you can plug that old VCR into or a soundcard you can plug your old tape deck into and start digitizing those movies and mix tapes you treasured from your youth. Make sure you have those movies available when you want to watch them, and those mixtapes you used to rock out to in the car available now on your phone or your digital music player, okay? Here’s the clincher though – and this applies to people planning to digitize their old media and those who have no media to digitize: Back. Up. Your. Data. The worst thing that can possibly happen as soon as you’ve digitized your music and movie collections and stored them on a home server where they’re always available? A hard drive dies, or your computer goes boom, or even worse – heaven forbid – your home or apartment suffers some kind of disaster: fire, flood, hurricane, tornado, whatever. Listen folks: hard drives will die. It’s a matter of time. 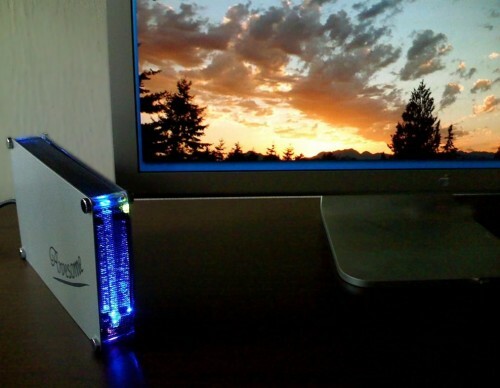 Keep your data backed up digitally, safely store your analog media once you’ve backed it up, and strongly consider a paid offsite backup service like Carbonite or Mozy. 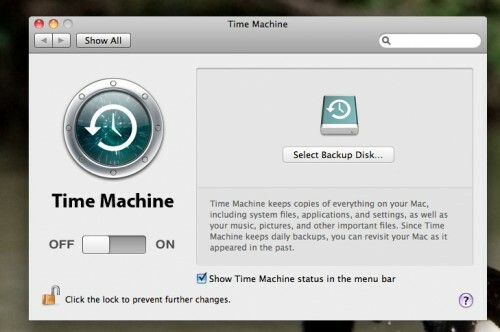 Check out this PC Mag roundup of online backup services for other options. Whatever you do though – back up your data, even if you don’t need to do any digitizing of old media. Imagine that feeling of knowing all of your data is gone, or all of your music and movies are on unrecoverable hard drives – stolen by a burglar or torched in a house fire. Now think about how you would feel if you knew all of that data was just a few clicks away, and that you’ll never need to think to yourself that all of your photos are gone forever. With me? Now get on it. Now then – I know I’m a little heavy handed on some of these, but it’s mostly because I need to take some of this advice myself! Still, from one classy person to another (yes, I’m talking about you) we have some work to do in 2011, don’t we? So from me here at The Classy Geek to you, have a very Happy New Year, and choose a nice sparkling wine or Prosecco to celebrate with, okay? There’s more to life than Martini and Rossi and Korbel! (Okay, I can’t resist – here are some budget holiday bubblies from Natalie MacLean, they’ll help.) Enjoy!